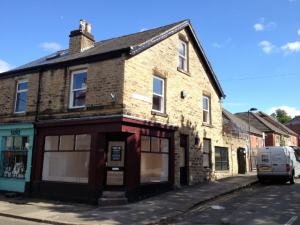 The old Launderette is a retail premises with a self contained flat in the centre of Sharrow Vale, Sheffield. Check out this website and our Facebook Page to find out more about this vibrant area that has a popular quarterly street market, right outside the shop. The next one is in July. The roof top veranda at the rear is an ideal spot to watch and listen to the market activities. The corner retail unit is highly visible along Sharrow Vale Road and has the benefit of two frontages, unrivaled in the area. Ideal to buy to boost the prominence of your own business or to let out for a profit. The sale is managed by Philip from Mark Jenkinson & son who has provided a document with more details. Call him on 0114 276 0151 or email philip@markjenkinson.co.uk. 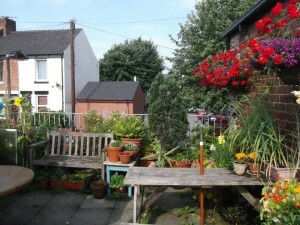 The property is available at an asking price of £235,000 – No VAT.